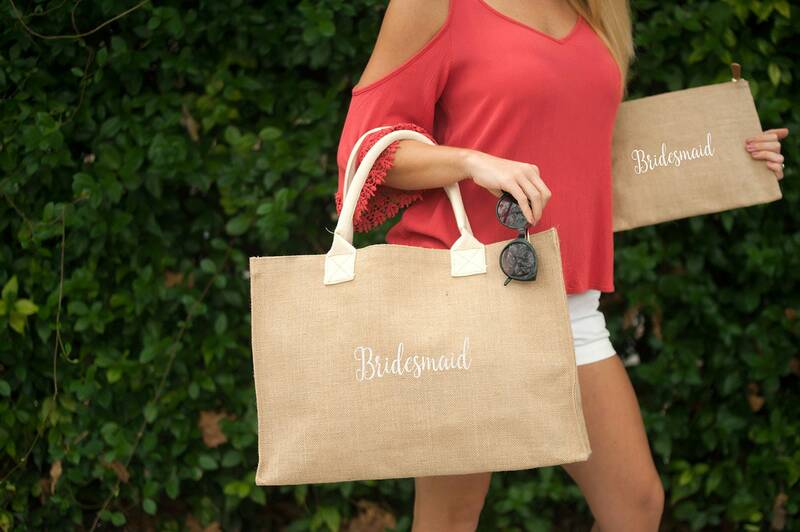 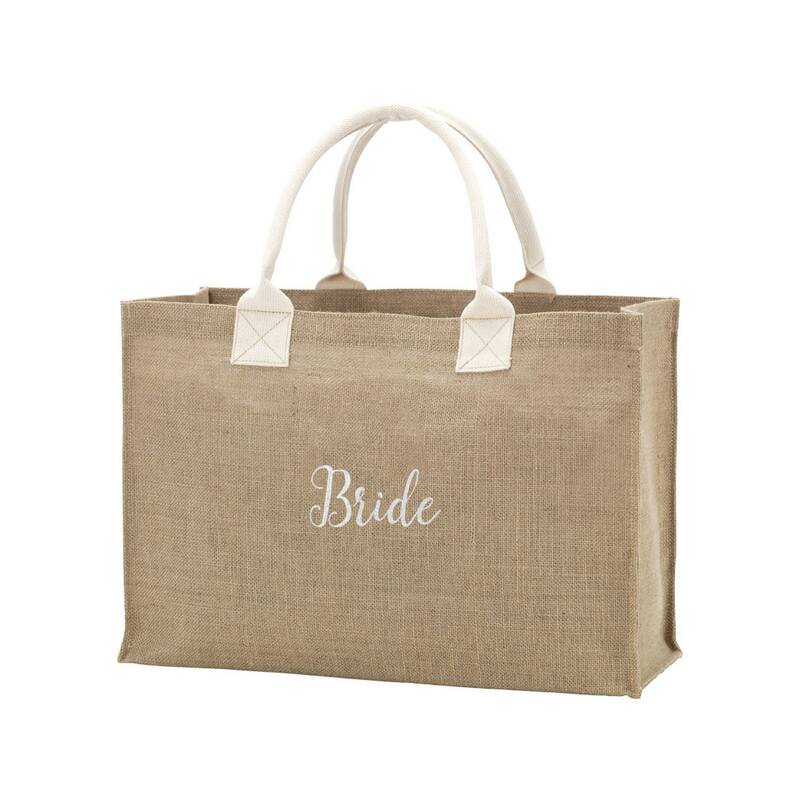 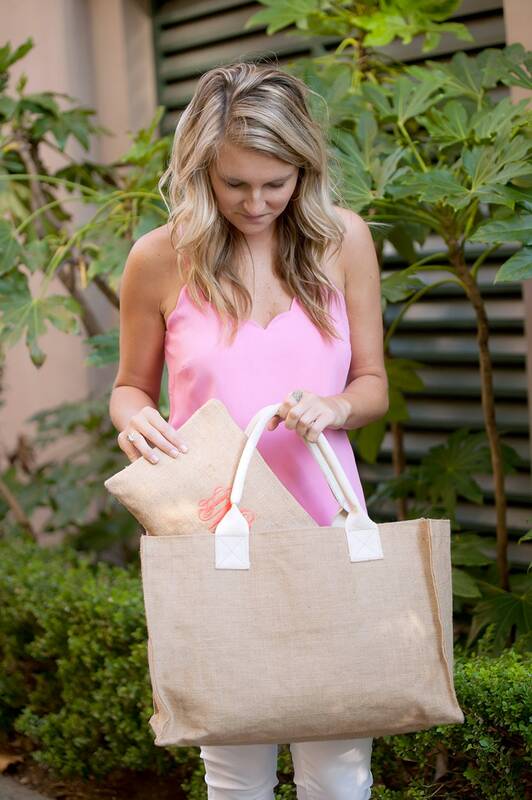 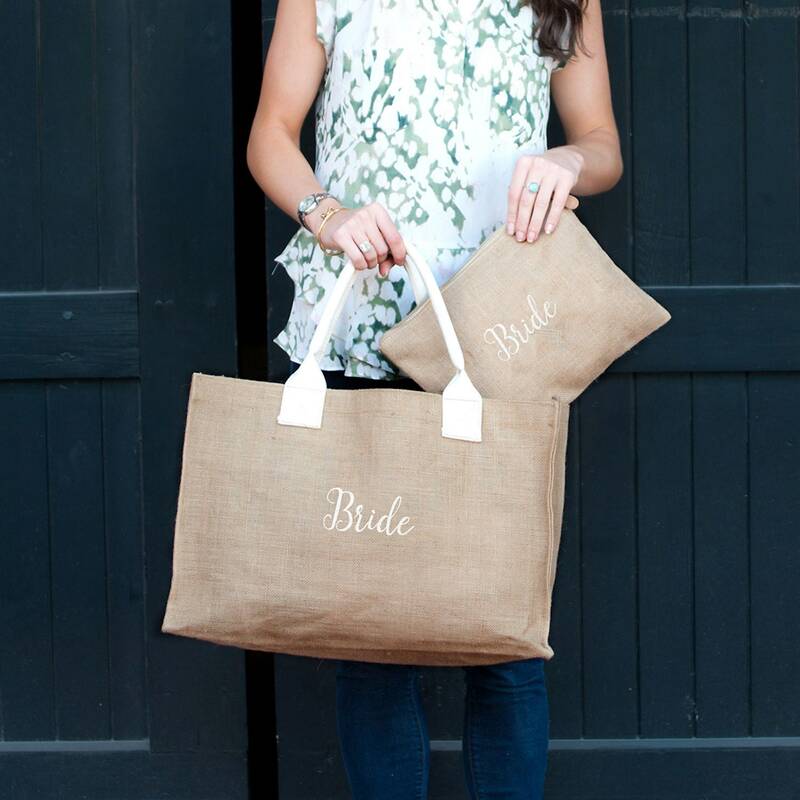 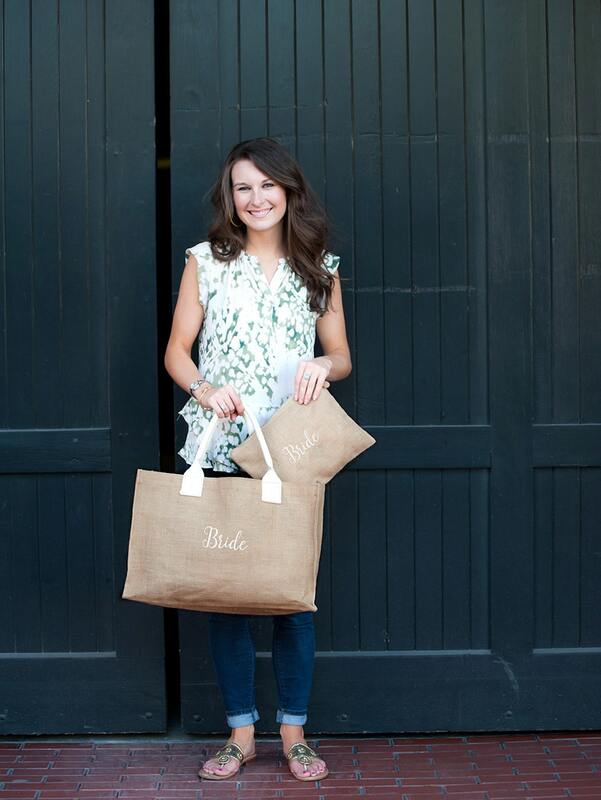 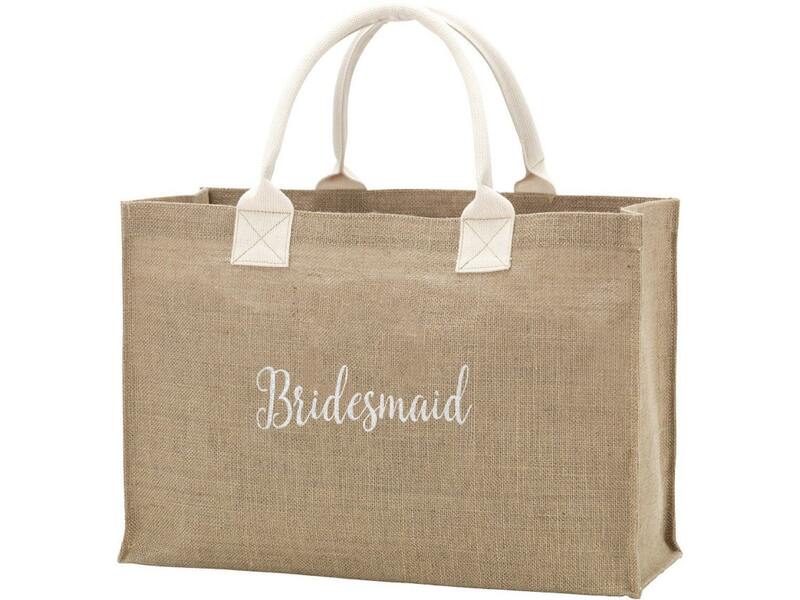 Monogrammed Bride or Bridesmaid in calligraphy font WHITE thread on Burlap Tote. 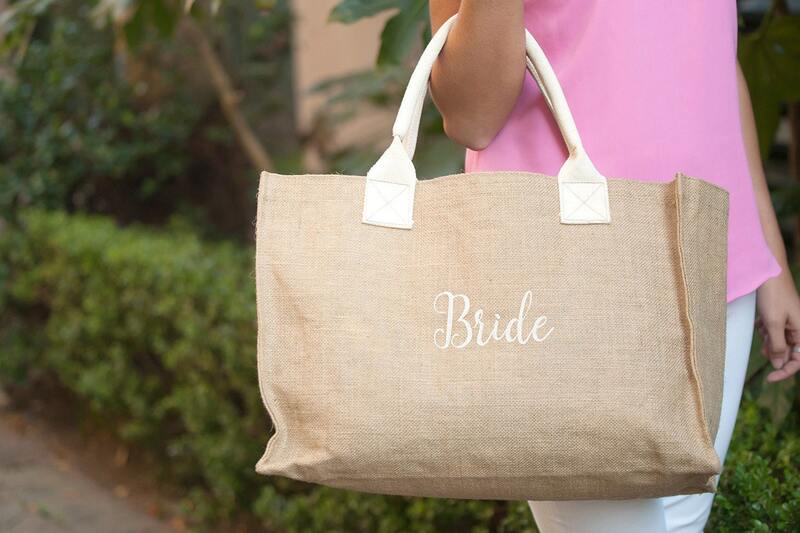 Also available without personalization or with name or monogram in any bridal color. 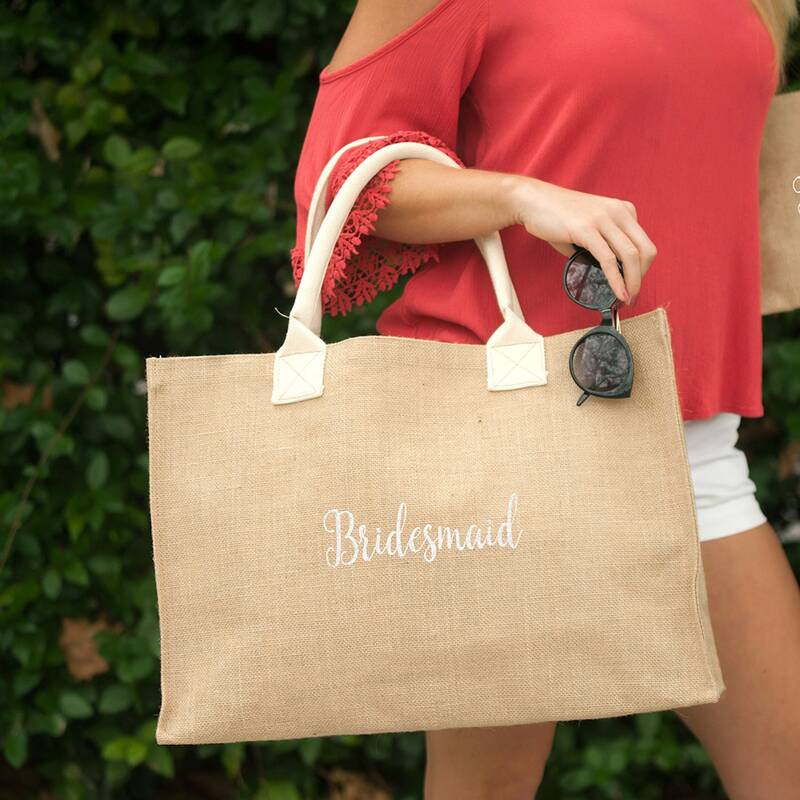 Matching zip-top burlap pouch or burlap drink huggie/coozie also available for a thoughtful gift.